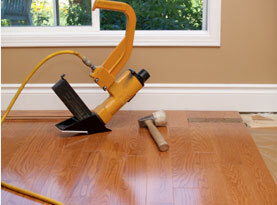 It seems that spring is the popular season in which to install hardwood floors. This leads many people to assume you must wait until spring to install them. But this simply isn’t true. Hardwood floors can be installed all year round and different seasons have its benefits. If you feel like you want to install hardwood floors this winter and are not sure if you should, Mike’s Custom Flooring will talk about winter installation and the benefits that can be had. Throughout the seasons one of the major concerns that the professional hardwood floor installer worries about is the moisture or humidity levels. 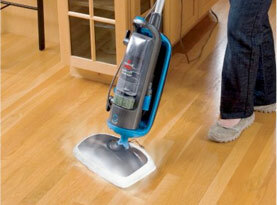 When installing hardwood floors the moisture in the air can affect the wood. The wood can swell which leads to expanding and contracting. As you can imagine this can ruin the wood floor and the quality of the installation. Over time when the wood planks swell when the moisture levels are high, the opposite happens. When the air dries out, the wood shrinks which will leave visible cracks in the wood. Additionally there will be large gaps between each plank in the floor. Regardless of season, professional hardwood floor installers will always check the humidity levels in the home before they begin installing the floors. Each season varies on the amount of humidity that is naturally produced in a home. Typically, the warmer the season the more moisture stays in the air. When there is high moisture levels in the air or settled on the subfloor additional steps before installation is often needed which adds money, work and time to the project. There is one major advantage when installing a wood floor in the winter and that is low moisture or humidity levels. This is because when you use the heater during the winter season it tends to dry the air which results in much lower moisture levels. However, some homes will install humidifiers for this reason. If you have humidifiers in your home consider turning them off about two weeks before you plan to install hardwood floors. The installer will still check the air and make sure it is good for installation. However, in most cases winter is the perfect season for installing hardwood floors. Often to ensure the quality of installation, the contractor will need to pretreat the home. 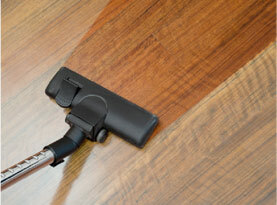 Now that you are among the few who know winter is a good season for hardwood floors there is another benefit. Since winter is considered the slow season you can schedule and install your floor on a much more flexible schedule. Additionally, the installers can get the work done fast. With the winter season comes low moisture levels, and a more flexible schedule for hardwood installers. However, to ensure the quality of installation make sure to use a professional contractor. We can check for humidity levels and ensure the quality of installation. Solid or natural wood does have additional considerations when it is installed unlike laminate or engineered wood floors. When you want quality installation, contact Mike’s Custom Flooring. 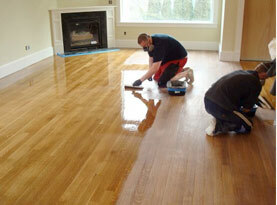 We provide quality installation, dustless sanding refinishing and more. To schedule our services, contact Mike’s Custom Flooring today.